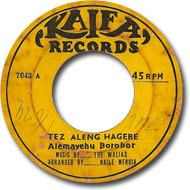 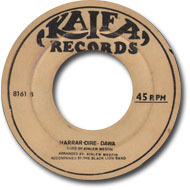 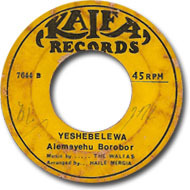 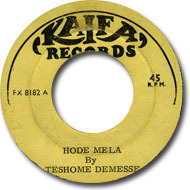 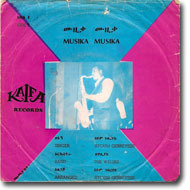 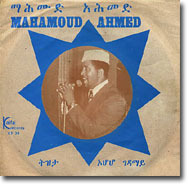 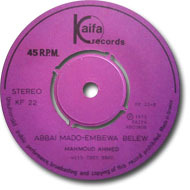 Kaifa Records was found by Ali Abdella Kaifa in 1973. 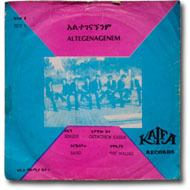 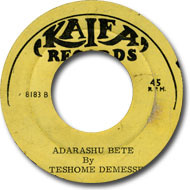 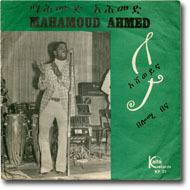 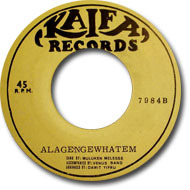 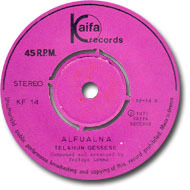 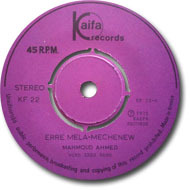 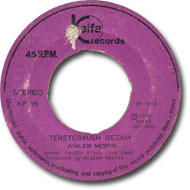 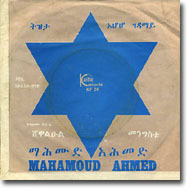 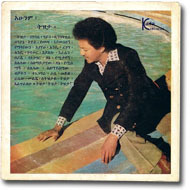 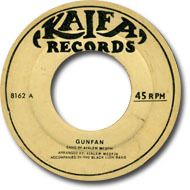 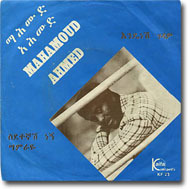 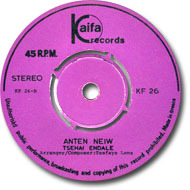 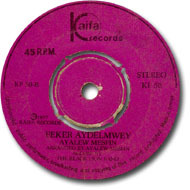 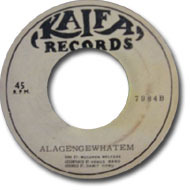 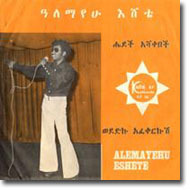 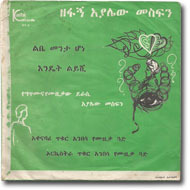 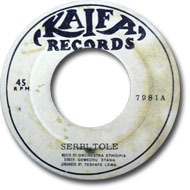 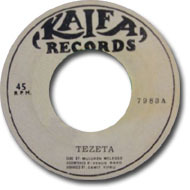 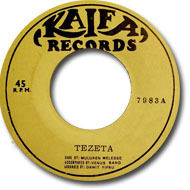 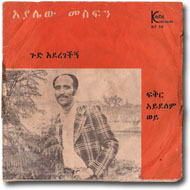 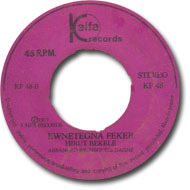 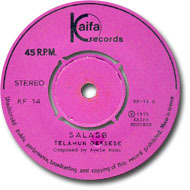 Kaifa released 53 45 singles from 1973 to 1977. All purple labeled Kaifa releases (from 1975 to 1977) have been manufactured in Greece. The early Kaifa 45s might have been pressed in Libanon by Flex, as they use the 4 number system, some also have the FX prefix. This 45 was pressed with blue and yellow labels. 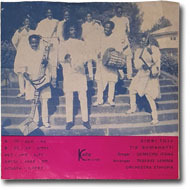 The catalogue number KF 001 is printed on the picture sleeve. 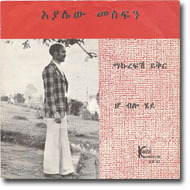 Sleeve printed by Addis Printing P.
Hailu Mergia is spelled Haile Mergia on the labels. 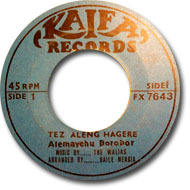 Tez Alegn Hagere is spelled "Tez Aleng Hagere" on the label. Many thanks to Andreas Vingaard for sending the yellow label scans! 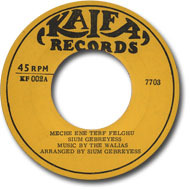 Reissued on 'éthiopiques-13: Ethiopian Groove' (Buda Musique, France) as "Mètch ené terf fèlèghu"
Reissued on 'éthiopiques-13: Ethiopian Groove' (Buda Musique, France) as "Musiqa Muziqa"
"Mech Ene Terf Felghu" is spelled "Meche Ene Terf Felghu" on the label. 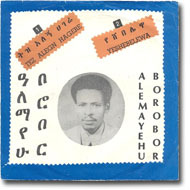 Syoum Gebreyess is spelled "Sium Gebreyess" on the labels. 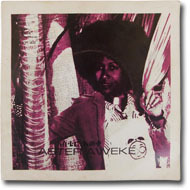 Many thanks to Andreas Vingaard for sending the scans! 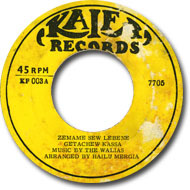 "Zemam Sew Lebene" is spelled "Zemame Sew Lebene" on the label, "Altegenagenem" is spelled "Altegenagnenem". Many thanks to Piotr Dubiel for sending the scans of the labels! 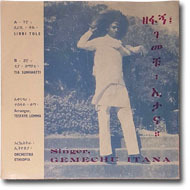 Note:Gemechu Itana is spelled "Gemechu Etana" on the labels. 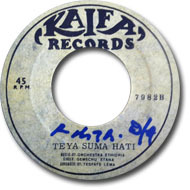 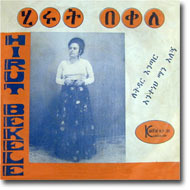 Sirbi Tole spelled "Serbi Tole" on the label, Tia Sumahatti is spelled "Teya Suma Hati". 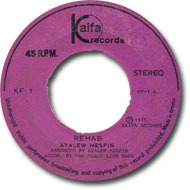 Many thanks to Lior Ainnes for sending the scans of the labels! 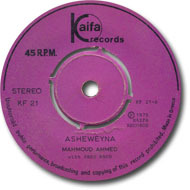 This 45 was pressed with grey and yellow labels. 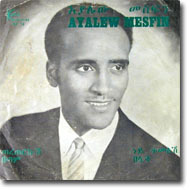 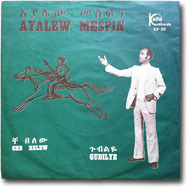 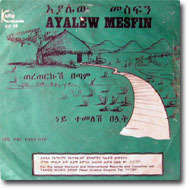 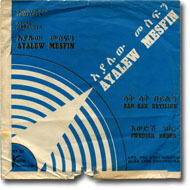 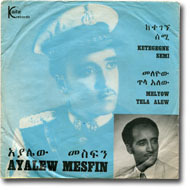 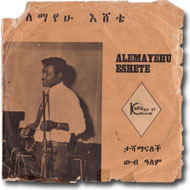 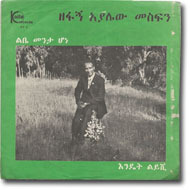 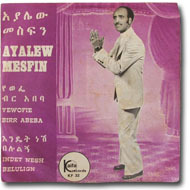 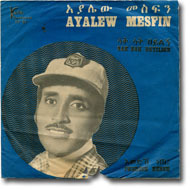 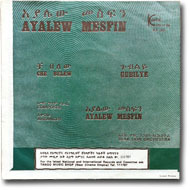 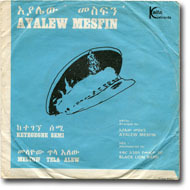 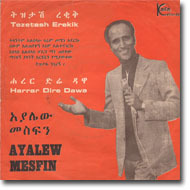 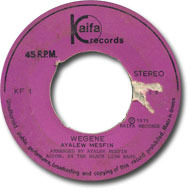 AYALEW MESFIN: Libe Menta Hone / "Endet Liyyeshi"
Thanks to Steve Cormier for transcribing the title of the B-Side from the sleeve. 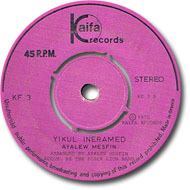 On the label might be a different spelling. 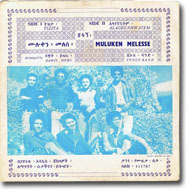 Can anyone send label scans for this record? 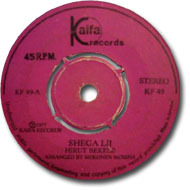 Steve translated the song title as "you (girl) are special". 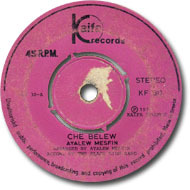 Thank you, Steve!! 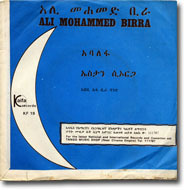 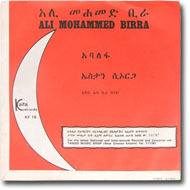 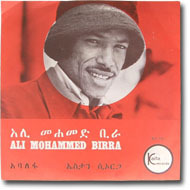 Note: Titles spelled different on the sleeve, "Ere Endiet" and "Banchi Yetenesa"
Reissued on 'éthiopiques-28: Ali Mohammed Birra - Great Oromo Music', (Buda Musique, France) as "Eshurruru"
Reissued on 'éthiopiques-28: Ali Mohammed Birra - Great Oromo Music', (Buda Musique, France) as "Inyaadi'ini"
Note: Mohammed is spelled Mohamed on the labels. Eshurourou is spelled "Eshururu" on Ali´s Kaifa LP. 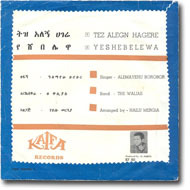 Many thanks to Francis Falceto for sending the label scans! 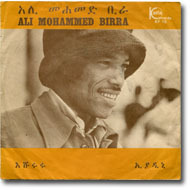 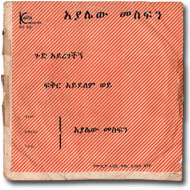 Reissued on 'éthiopiques-28: Ali Mohammed Birra - Great Oromo Music', (Buda Musique, France) as "Abbaa Lafa"
Reissued on 'éthiopiques-28: Ali Mohammed Birra - Great Oromo Music', (Buda Musique, France) as "Eessaati si argaa"
There is a red and a blue sleeve for this 45! 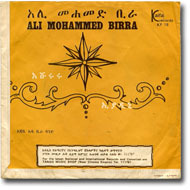 Note: Mohammed is spelled Mohamed on the labels. 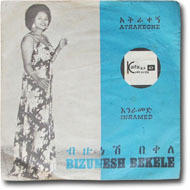 Many thanks to Francis Falceto for sending the blue sleeve scans! 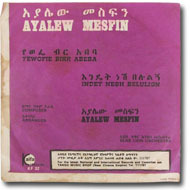 Reissued on 'éthiopiques-7: Ere Mela Mela', (Buda Musique, France) as "Ashèwèyna"
Reissued on 'éthiopiques-7: Ere Mela Mela', (Buda Musique, France) as "Bèlomi Bènna"
Reissued on 'éthiopiques-7: Ere Mela Mela', (Buda Musique, France) as "Erè mèla mèla" and "Mètché nèw"
Reissued on 'éthiopiques-7: Ere Mela Mela', (Buda Musique, France) as "Abbay mado" and "Embwa bèlèw"
Reissued on 'éthiopiques-7: Ere Mela Mela', (Buda Musique, France) as "Sedètègnash nègn" and "Samerayé"
Reissued on 'éthiopiques-7: Ere Mela Mela', (Buda Musique, France) as "Endénèsh gèdawo"
Reissued on 'éthiopiques-7: Ere Mela Mela', (Buda Musique, France) as "Tezeta"
Reissued on 'éthiopiques-7: Ere Mela Mela', (Buda Musique, France) as "Ohoho gèdama"
Note: Tezeta is spelled 'Tezzeta' on the label. 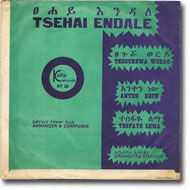 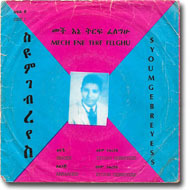 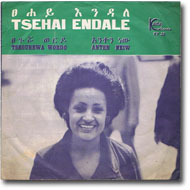 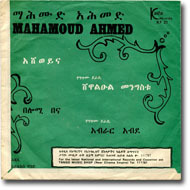 Reissued on 'éthiopiques-7: Ere Mela Mela', (Buda Musique, France) as "Atawurulegn léla"
Reissued on 'éthiopiques-7: Ere Mela Mela', (Buda Musique, France) as "Ebakesh tarèqign"
Note: Tsegurewa Wordo is spelled "Tsegurewa Worddo" on the label. 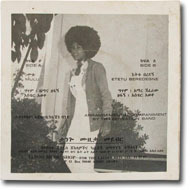 Many thanks to Steve Cormier for sending the scans of the picture sleeve! Note: Misprint on the label: The number on the A side reads FK 27 instead of KF 27. "Gubilye" is spelled "Gubeleye" on the label. 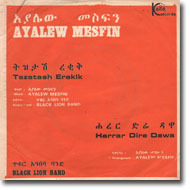 The Black Lion Band is called "Blak Lion Orchestra" on the sleeve. 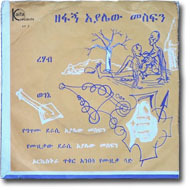 Reissued on 'éthiopiques-13: Ethiopian Groove', (Buda Musique, France) as "Gèdawo"
Reissued on 'éthiopiques-13: Ethiopian Groove', (Buda Musique, France) as "Tashamanalètch"
Reissued on 'éthiopiques-13: Ethiopian Groove', (Buda Musique, France) as "Wèdèdku afqèrkush"
Reissued on 'éthiopiques-13: Ethiopian Groove', (Buda Musique, France) as "Antchin yagègnulèt"
Notes: "Tamrat Ferengi" is spelled "Tamerat Ferenj" on the labels, "Anchin Yagegnulet" is spelled "Anchin Yagengulet" and "Fikrishin Kelkiyiw" is spelled "Fikrishen Kelkiyew". This Kaifa 45 uses an Amha catalogue prefix, AE instead of KF! 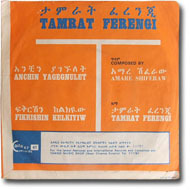 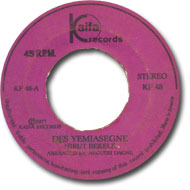 Reissued on 'éthiopiques-13: Ethiopian Groove', (Buda Musique, France) as "Ya djalèléto"
Notes: "Tamrat Ferengi" is spelled "Tamerat Ferenj" on the labels, "Ya Jaleleto" is spelled "Yagalelekow" and "Bultiko Woya" is spelled "Bultikow Weya". 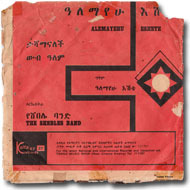 The Sensation Band is spelled "Sensention Band" on the labels. 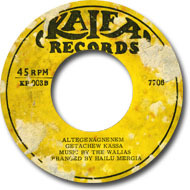 Note: This Kaifa 45 uses an Amha catalogue prefix, AE instead of KF! 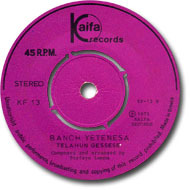 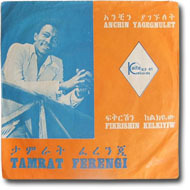 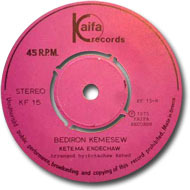 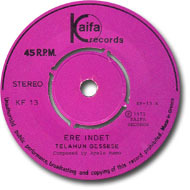 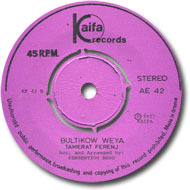 Notes: "Etetu Beredegne" is spelled "Etet Beredeng" on the picture label. 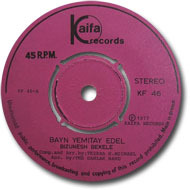 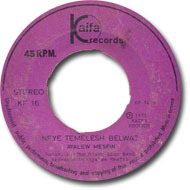 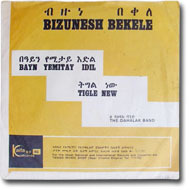 Reissued on 'éthiopiques-13: Ethiopian Groove', (Buda Musique, France) as "Tegel nèw"
Notes: "Bayn Yemitay Edel" is spelled "Bayn Yemitay Idil" on the picture sleeve, "Tigel New" is spelled "Tigle New". 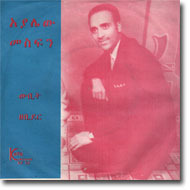 "Dahlak Band" is spelled "Dahalak Band" on the picture sleeve. 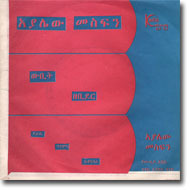 Reissued on 'éthiopiques-13: Ethiopian Groove', (Buda Musique, France) as "Atraqègn"
Notes: "Atrakegne" is spelled "Atrakegn" on the label, "Inramed" is spelled "Eneramed". 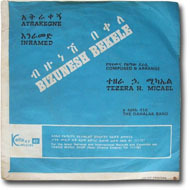 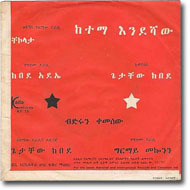 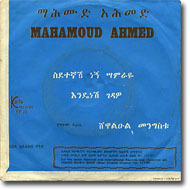 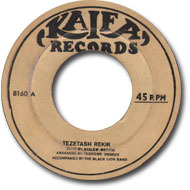 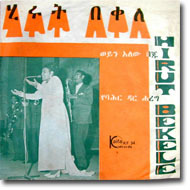 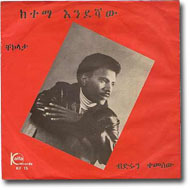 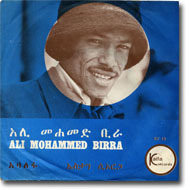 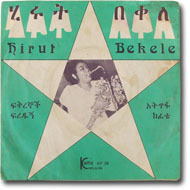 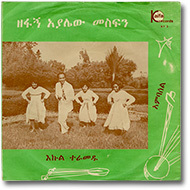 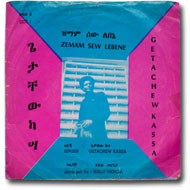 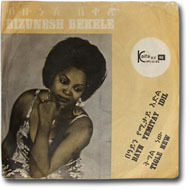 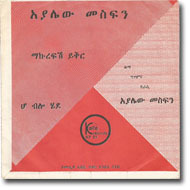 "Dahlak Band" is spelled "Dahalak Band" on the picture sleeve, Tezera Haile Michael is spelled "Tezera H. Micael". 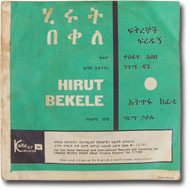 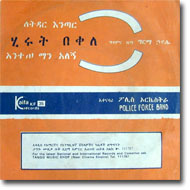 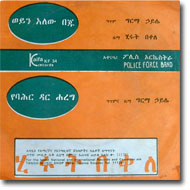 Reissued on 'éthiopiques-13: Ethiopian Groove' (Buda Musique, France) as "Ewnètègna Feqer". Reissued on 'éthiopiques-13: Ethiopian Groove' (Buda Musique, France) as "Gud adèrègètchegn"
Reissued on 'éthiopiques-13: Ethiopian Groove' (Buda Musique, France) as "Feqer aydèlèm wèy"